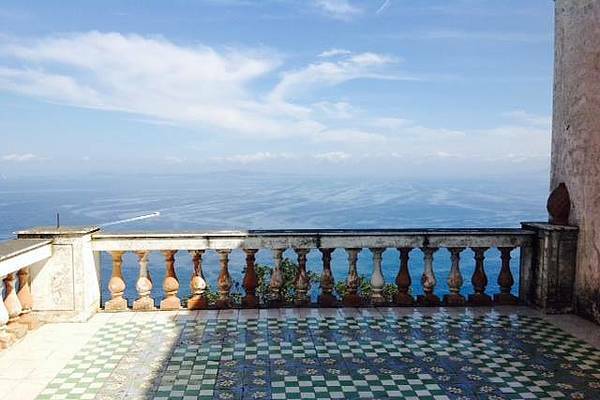 Villa Lysis, also know as Villa Fersen, is a detached residence in a wonderful garden surrounded by climbing plants and cypresses not far from the ruins of Villa Jovis. 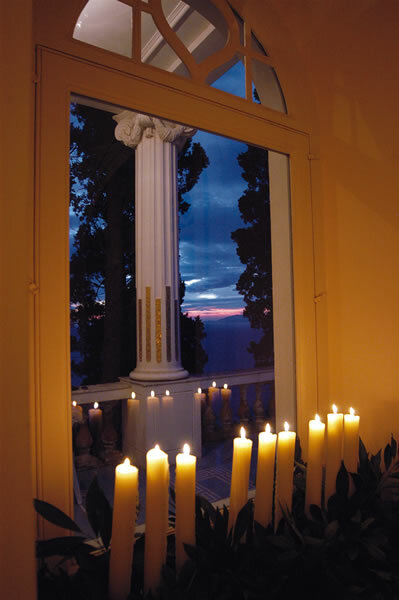 It was built by the French Count Jacques d'Adelsward Fersen in 1905, and the romantic imprint can still be felt today making it a most enchanting retreat. 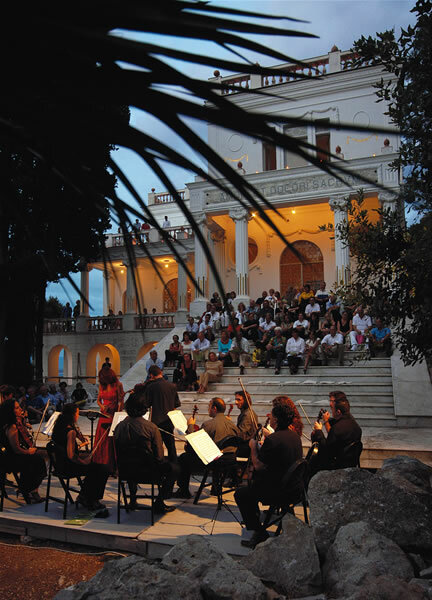 It was formerly called "La Gloriette" but subsequently took the name of Villa Lysis as a sign of homage to Liside, a disciple of Socrates mentioned in one of Plato's dialogues. 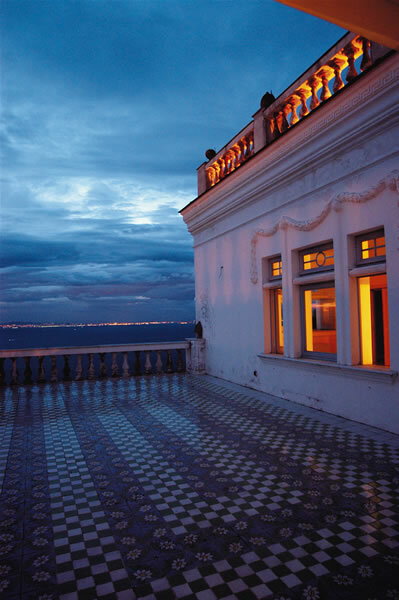 Fersen was one of the most eccentric visitors to the island and wanted to create a residence in a secluded areas, in a romantic place on a cliff peak overlooking the sea, with arcs and dome roofs to give it a classical flair. 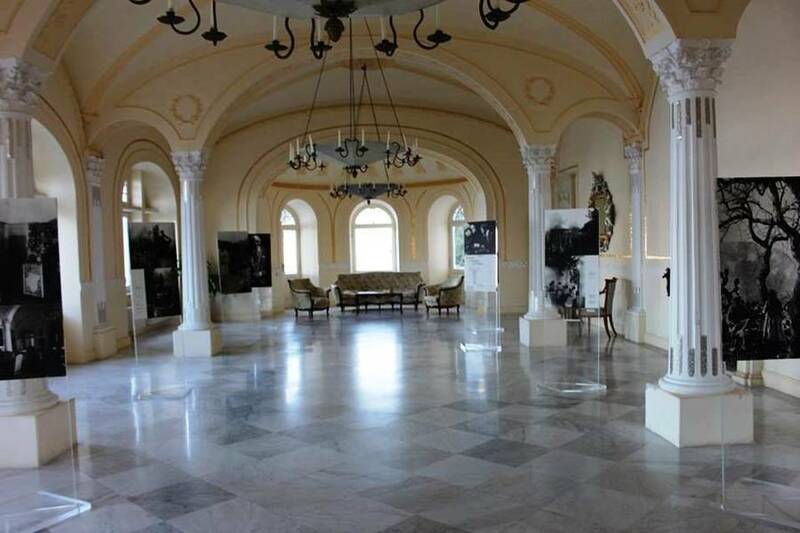 There are endless sources of heterogeneous inspiration within Villa Lysis: the ground floor extends pronaos resting on four columns and preceded by an wide classical temple style stairway. 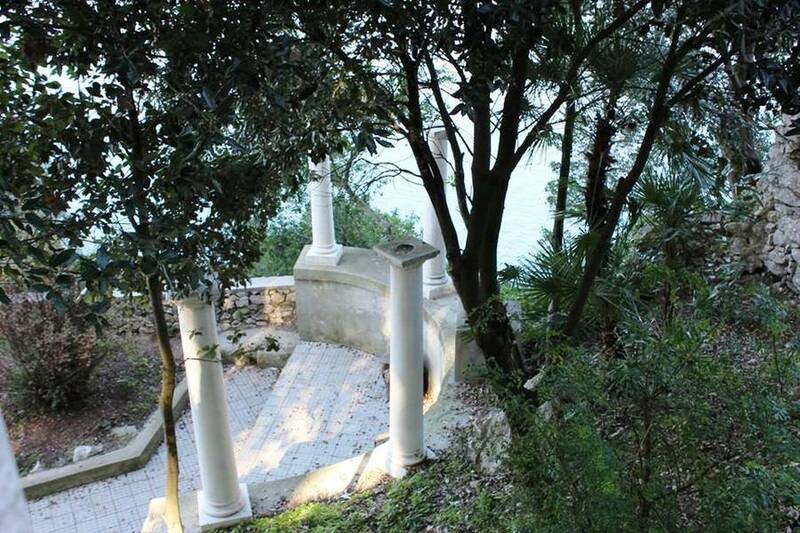 The exedra and entrance pronaos also highlight classical architectural elements. The gilding seen in the main hall recall Klimt, Olbrich and the "Viennese secession", and the decorative details of the handrail of the staircase are in true Art Nouveau style. 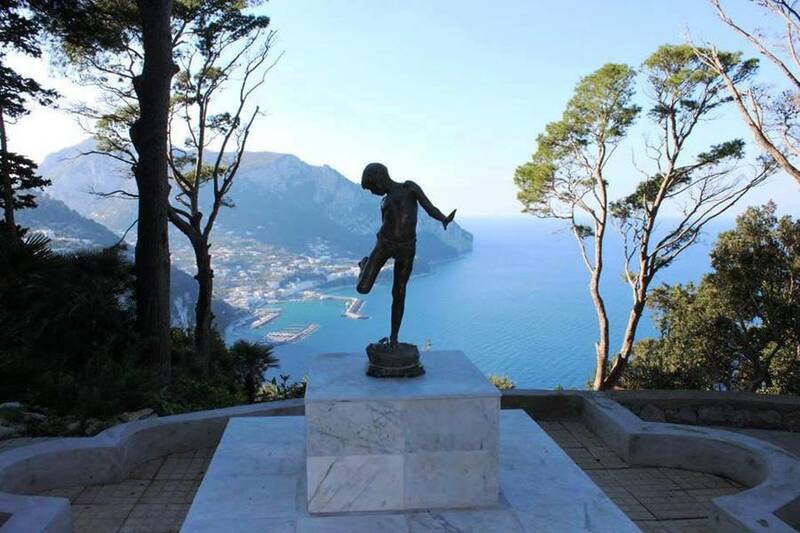 The villa is now owned by the Capri Local Authorities and elements of both modern and European architectural culture intertwine and blend together in a truly fascinating context which in so rich in symbolic meanings. 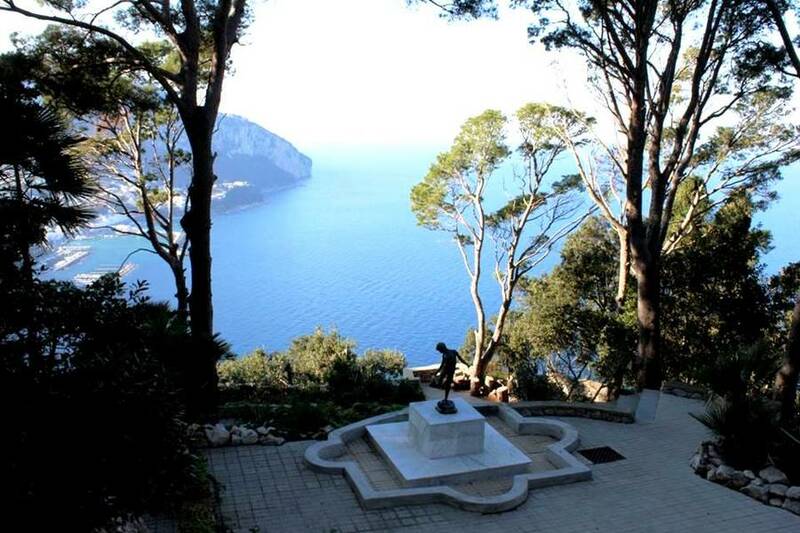 For children with less than 12 years and residents in Capri and Anacapri admission is always free.